▪ Apple, Alphabet, Microsoft, Amazon, and Facebook are now collectively worth nearly $3.3 trillion. Two years ago, the five combined were valued at about $2.2 trillion. ▪ The fastest-growing jobs over the next decade will be in the “three Cs”—care, computers, and clean energy— according to the Bureau of Labor Statistics. Openings for home-health and personal aides are projected to grow by 1.1_million by 2026—10_percent of the total 11.5_million jobs the bureau expects the economy to add. Jobs for clean-energy workers, such as solar-panel installers and wind-turbine technicians, are expected to double. Software developers and mathematicians will also be in demand. ▪ After years of lackluster pay increases, workers’ compensation inched up in the third quarter. Wages from July through September rose by 0.7 percent, according to the Labor Department, following a 0.5 percent uptick the previous quarter. ▪ Tablet ownership among young children has surged, with 42 percent of children ages 8 and under now claiming their own tablet device, up from fewer than 1 percent in 2011, according to a study by Common Sense Media. 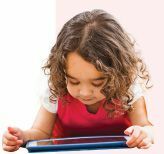 The amount of time young children spend with a mobile device has also skyrocketed, from five minutes a day in 2011 to 48 minutes daily now. ▪ California lawmakers expect a huge tax windfall when the state’s recreational marijuana market goes live Jan. 1. Buyers will have to pay state and local taxes that will total as much as 45_percent in parts of the state. A state-sponsored study estimates the legal market could be worth $5_billion.